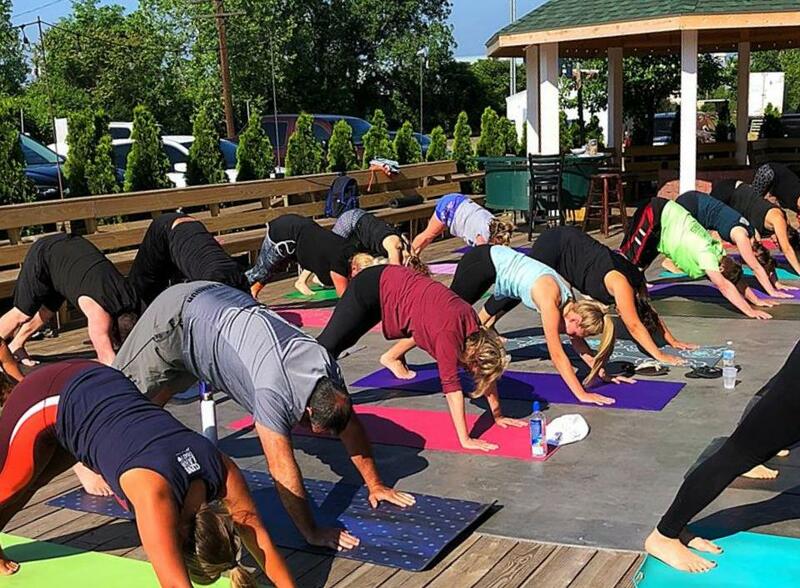 CHESTERLAND, Ohio — Good news, Geauga County fitness buffs. Your commute to cycling, yoga, and climbing classes is about to get a whole lot shorter. 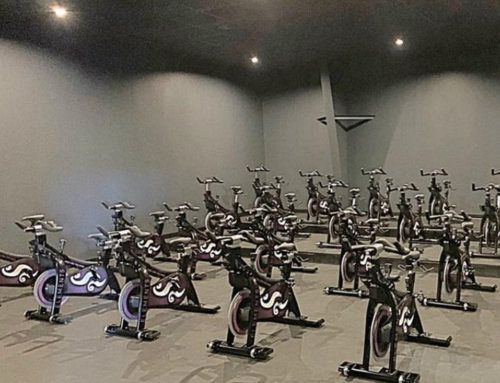 With the grand opening this Saturday of Elements Fitness Studios in Chesterland, the slate of exercise options on the far east side has expanded significantly. Now it’s possible to get your yoga, cycling, Pilates, and even climbing fixes all in one place. That place is no joke, either. 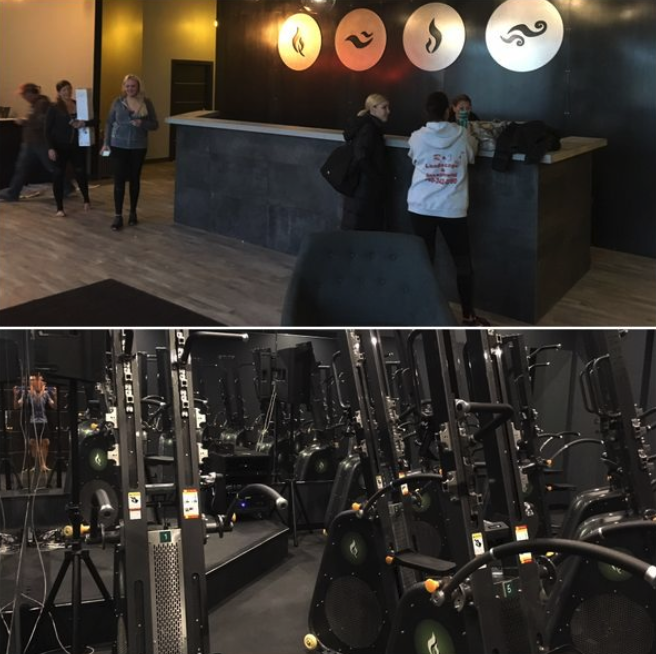 Elements may occupy a warehouse in a field on a country road, but in terms of equipment, design, and amenities, it’s the peer of any high-end fitness studio in a major urban center. It’s even got a theme. 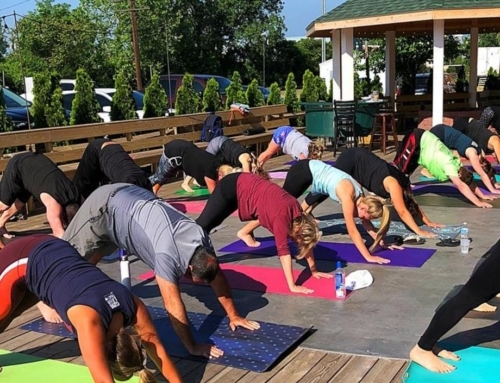 The plural name is a reference to the ancient Greek concepts of earth, air, water, and fire, each one of which corresponds at Elements (elementsfitnessstudios.com) to a physical space and category of workout. Cycling is air, hot yoga and Pilates are fire, Vinyasa is water, and climbing is earth. There’s also a room for massage and Reiki. Maybe that’s the fifth element, aether. On my first visit to Elements, I felt drawn to “earth,” to climbing. I was compelled to try out the first local rival to Cleveland’s Rise Nation and the only studio in the eastern U.S. with climbing machines (contraptions with handles and pedals that go up and down in contrary motion) by Synergy, an Australian competitor to VersaClimber. Next to the sleek VersaClimber, the Power Tower looks like a tank. Physically, it’s enormous, built to heavy-duty standards, and at its base is a huge flywheel, a source of adjustable resistance similar to the core of a rowing or skiing ergometer. Element’s class on these contraptions is serious business. Rhythm played a significant role. All our cues came from the music. To faster, upbeat songs, we climbed with short, quick steps, and to slower tunes with a heavier beat, we responded with long, deep strides at higher resistance. It wasn’t all traditional climbing, either. A few times, we grabbed the right or left handle with both hands and pumped that way, and throughout the workout, we took squat breaks, sitting down on the pedals while clutching bars at waist level. Those same bars also allowed us to knock out a few challenging triceps dips. And we only scratched the surface of the machine’s potential. 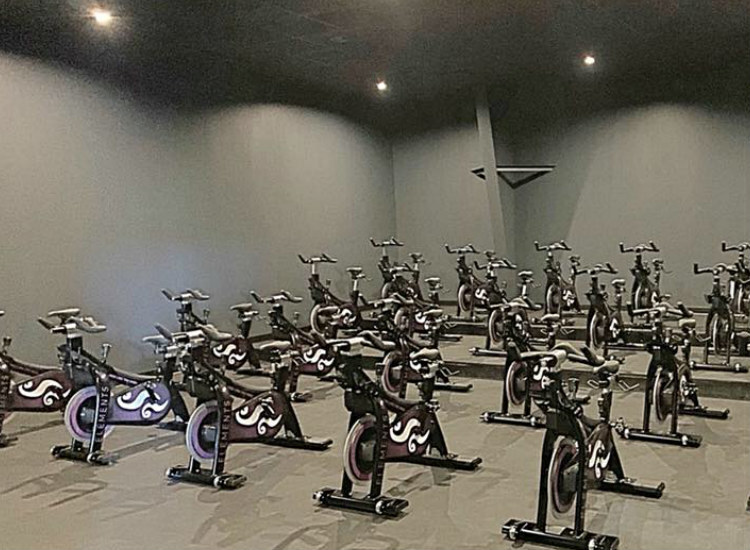 After class, the instructor told me of plans to offer higher-intensity Power Tower sessions without pedals or bars at waist level. Never fear, though. I have to return. I may live 30 minutes away, but the list of other offerings at Elements is simply too attractive for me to resist for long.